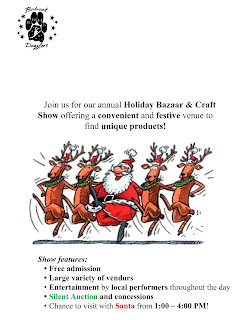 "The Byron Nelson Bobcat Dance Team would like to invite you to their annual Holiday Kick-Off Bazaar and Craft Show. 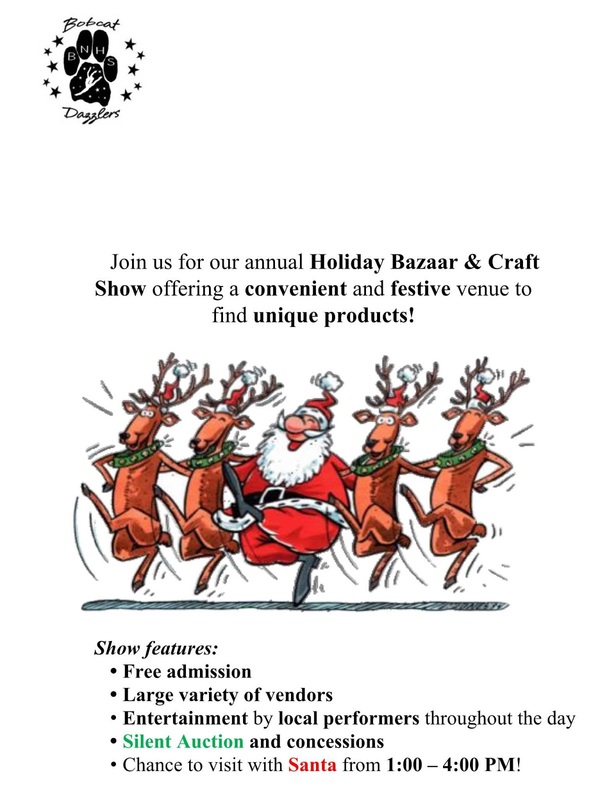 There is something for everyone including *free admission, *door prizes, *entertainment, *awesome vendors, *pictures with Santa and much, much more!" There is a free continental breakfast from 7-9AM for vendors as well as coffee and lemonade throughout the day. We are happy to assist vendors with unloading and loading of your supplies. The girls from the dance team are also there to assist you throughout the day with any needs you may have. Applications are available here and are due by October 15, 2016. Only one franchise representative from each franchise company per show (i.e. Tupperware, Pampered Chef, ect.) will be accepted on a first come first serve basis. For more information, visit their website or contact their event coordinator at bdso5678@gmail.com.